Frittata is a really easy way to prepare eggs a little differently than what you might be used to. The only thing that might be a hiccup is that you need a pan that can be used both on the stovetop and in the oven. 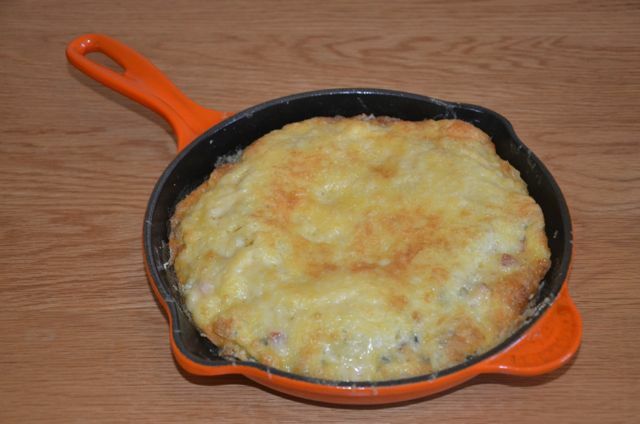 I like using a Le Creuset 26cm Classic Cast Iron Skillet for frittatas as it's the perfect size and suitable for cooking both on top of the stove and in the oven. You will also need a rubber spatula for this dish. This particular frittata came out of convenience really… I always have Gruyere cheese in the fridge since I use it in my cooking a lot and there just so happens to be a Polish grocery store right next to my flat in London that sells the best kielbasa for super cheap. 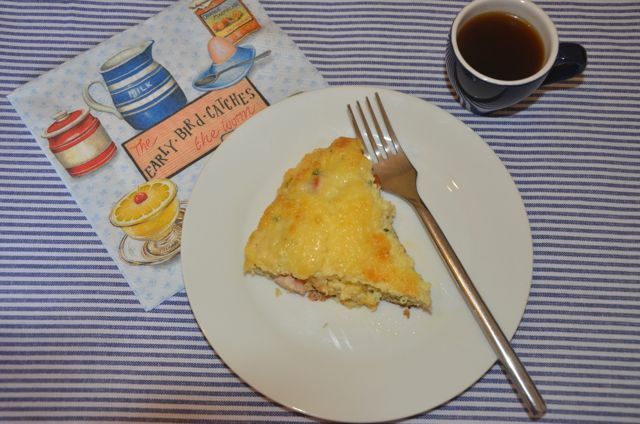 If you're a fan of quiche but giving up the carbs, frittata is kind of like a crustless quiche and it's a fun, delicious way to enjoy eggs! 1. Preheat grill (broiler) on the highest setting. 2. In a mixing bowl, combine the beaten eggs, basil and freshly ground black pepper and set aside. 3. Heat the oil in a skillet over medium heat that can be used both on top of the stove and in the oven and when it's hot, add the chopped kielbasa. Cook, stirring regularly for about 2 minutes or until warmed through. 4. Pour in the egg mixture and let it cook. As it starts to set, run a rubber spatula around the sides of the skillet to loosen the edges and allow some of the uncooked egg mixture to go towards the bottom of the pan. 5. 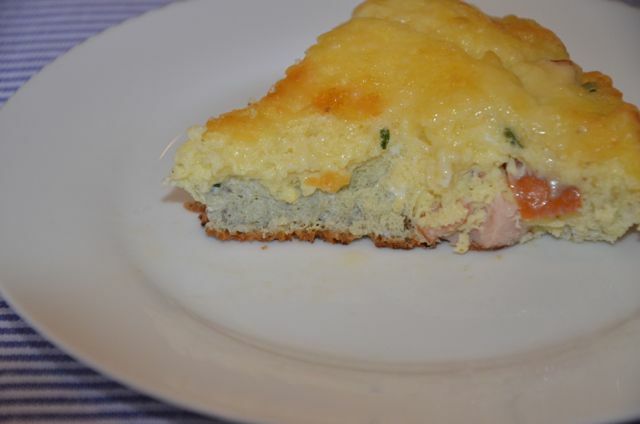 When the whole frittata is set except the top which will remain moist, sprinkle it with the cheese and transfer to the oven to finish setting the top of the frittata. Cook under the grill (broiler) for about 2 minutes or until the top is just set and the cheese has melted. 6. To serve, run the rubber spatula around the sides and underneath the bottom of the frittata and slide it onto a serving plate. Cut into triangular slices like a pie and serve.